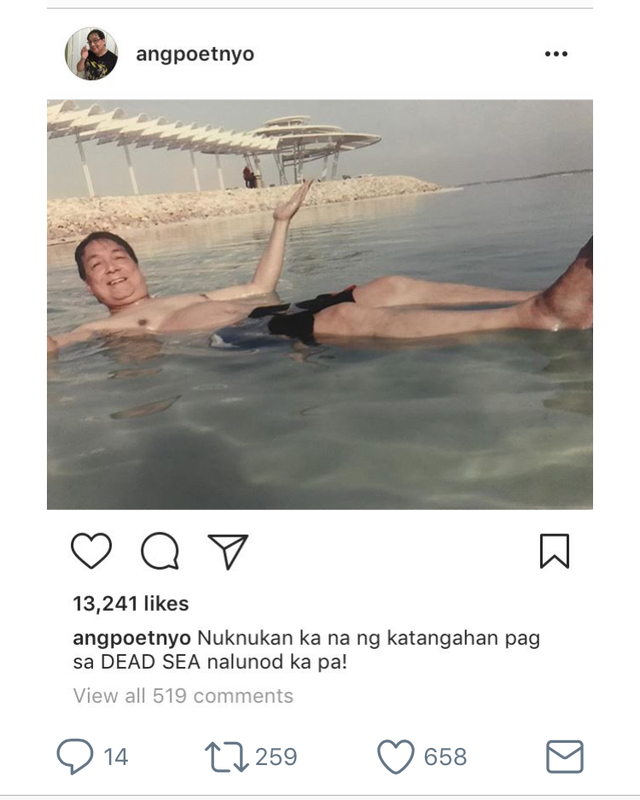 MANILA, Philippines - TV host and personality Joey de Leon once again drew the ire of netizens after he posted an “insensitive” remark about drowning. 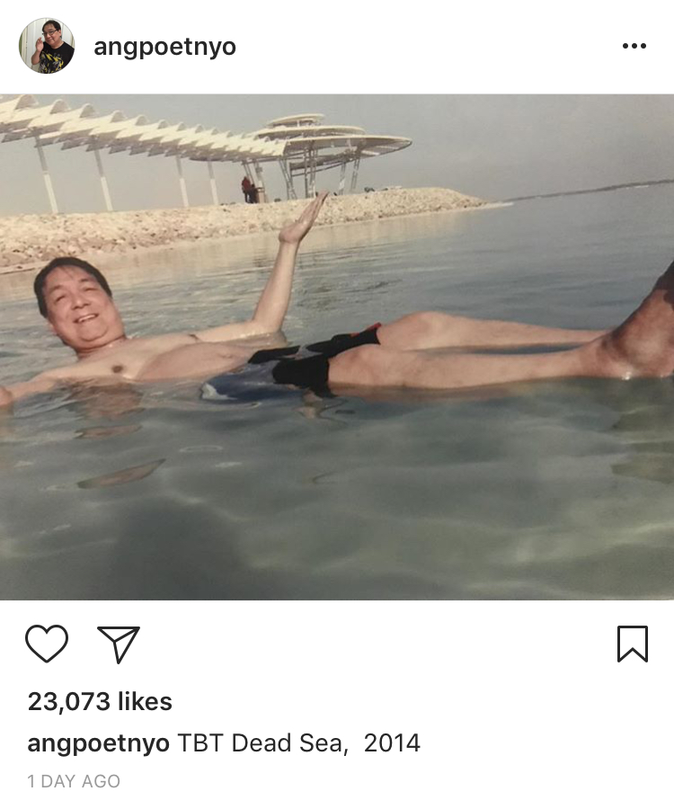 De Leon posted on his Instagram account a photo of himself enjoying a dip at the beach. The photo may seem innocent except that it contains a seemingly insensitive joke about drowning. The TV host was referring to the famous Dead Sea where the water’s very high density makes it impossible for swimmers to drown, they just float. But, netizens have strong words for De Leon. They called him out for his insensitivity after the recent death of Hashtags member Franco Hernandez due to drowning. It’s Showtime hosts and friends of Hernandez were quick to share their opinions on the matter. Several netizens also didn’t hold back stating that this isn’t the first time De Leon had been tactless and rude. At this point Joey de Leon is just trying his best to gain media attention in which he lacks of. Pathetic. Ignore the fool and give the poor fella what he deserves. Retirement. Back in October, De Leon also earned the ire of netizens after he commented on Eat Bulaga that depression is “gawa-gawa” lang. Days after, the brother of actress Nadine Lustre committed suicide due to depression. The controversial remarks prompted De Leon to take a long break from work.